It’s that time again! Boston City Campus & Business College is assisting learners with their applications for various Unisa degrees from 7-25 April. Prospective students wanting to apply for an internationally recognised Unisa qualification can still start their studies in 2014 and do not have to wait until 2015 to begin their degree. Boston, having established a need for a comprehensive Marketing and Management qualification, has since 2013 offered its new Bachelor of Commerce Management Marketing degree which is accredited by the Council on Higher Education. This degree has caused a buzz in the industry as employers have a need for well–rounded commerce graduates that are able to participate in various areas of a company and add value to the overall productivity of an organisation. With Boston Bedfordview available to assist all students with their applications, the application process has been simplified. Qualified counsellors will be with you from the start, explaining the degrees and guiding you in the right direction. There is no charge for this assistance – Boston understands the difficulty in new degree registrations. One student was heard to comment “I had no idea what any of this was about – it’s all so much clearer now and I feel I can move on with the process with more confidence. I am now looking forward to my studies, whereas before I had a lump of fear in my chest!” Boston prides itself in helping students further their education through dedicated support from day one, and long before actual registration. Prospective students will also be assisted with credit applications and follow ups with Unisa on the progress of applications. It’s all become that simple – with Boston one can expect less queues, less red tape, and a professional, streamlined application process. The Boston City Campus & Business College partnership with Unisa has over the past 23 years been extremely successful and continues to produce excellent results consistently. Some Boston classes have recorded 100% pass rates for their Unisa examinations. It’s no wonder that Boston has become a preferred choice amongst prospective students. Natalie Rabson, Boston’s Marketing Manager, attributes this success to the fact that students, while studying via correspondence, are still able to attend tuition presented by highly qualified lecturers. At Boston, students will have the advantage of additional support and assistance which range from hands on training advisors who monitor the students and make themselves available to handle queries, to qualified lecturers who are available to assist outside of class hours. Through using mixed modes of education Boston ensures that tuition is personalised to each student’s unique needs – whether a full-time student or a full time worker with a family to support. This is achieved either through offering some classes on a lecture basis or via Technology-based Training, where the lectures have been pre-recorded on specific modules. The TBT method is offered at all branches, and the advantages are numerous. Not only can students access material at any time, but they can also work at their own pace, moving faster through sections they are confident in or repeating areas they do not understand. Boston is also able to monitor how often students access video material in order to monitor the students’ progress. In this way Boston is alerted to any Unisa degree, course or module changes and is able to deal with student queries and concerns. The time to start realising your dreams has arrived! Why wait till next year to apply for an internationally recognised Unisa qualification? The time for progress is now! Simply book a date with Boston between 7 and 25 April. · If you have registered for a degree in the past and wish to continue with the same degree, start another degree, or progress to honours, you have to re-apply. In other words, one cannot wait for the registration period. Unisa rules and regulations have changed and previous Unisa students are therefore advised to come in and speak to a counsellor at Boston Bedfordview to find out about these changes. · If you want to transfer course credits from another university you also need to apply. This process can take some time. Do bear in mind that you cannot be registered at two universities at one time. However, you can apply with Unisa now and see how many credits you will be granted before making the decision to move or not. 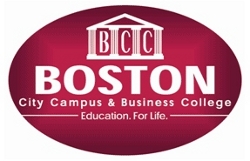 To view Boston City Campus and Business College‘s profile on SAstudy, click here.